Inside the busy underwriting room of Lloyd’s of London, Argo Group representatives can be spotted on a daily basis talking with brokers and underwriting risk as Syndicate 1200. 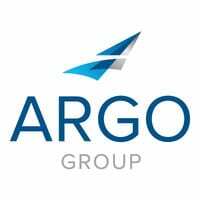 In the world’s foremost insurance marketplace, Argo has to be fast and knowledgeable to be successful with the dozens of brokers that come looking to transact business. “The face-to-face approach at Lloyd’s is critical,” said James McPartland, a professional indemnity underwriter at Syndicate 1200. “Emails are great for sending mass amounts of information, but you can’t beat the split-second decision-making that happens in the box,” as the underwriting room’s work stations are called. Being fast and knowledgeable are the reasons that brokers like B&W keep calling on Syndicate 1200. The collaborative spirit that has underpinned Lloyd’s for centuries is part of the foundational values at Argo as well. The Argo Risk Tech app authors real-time incident reporting and response, helping make workplaces safe for employees and customers – and lowering costs so that businesses can grow.